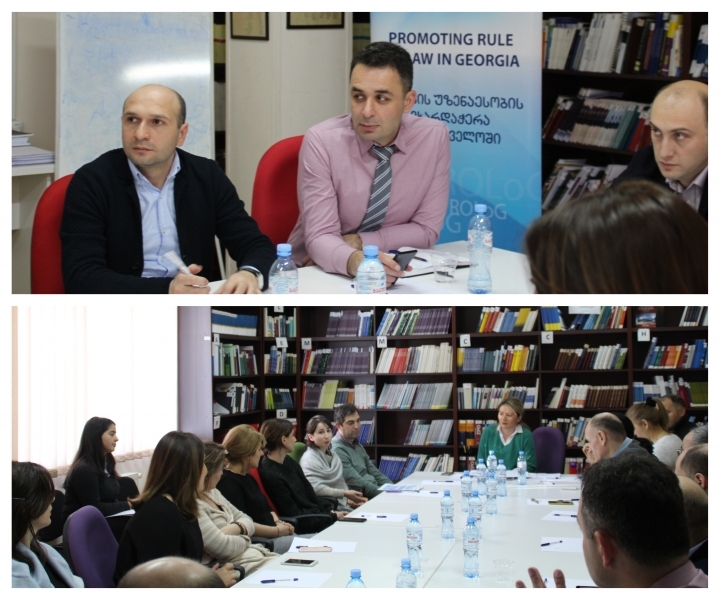 On January 11, participants of the July 2018 USAID/PROLoG study tour shared their experience with colleagues at the Tbilisi Court of Appeals. The presentation was attended by 20 participants, including judges, judicial assistants, clerks and court staff. USAID/PROLoG representatives Bakar Jikia and Robert Maghlakelidze were also present. Judges Tamar Oniani, Khatuna Arevadze and Giorgi Gogiashvili discussed their experience in the U.S., where the study tour participants held a number of meetings with key institutions of the U.S. judiciary system in Washington DC and San Francisco. Georgian Judges had an opportunity to attend court hearings, study the guiding principles for judges, authority of the Judicial Councils and their general policy, practise of the Commission on Judicial Disability and Tenure. Judge Tamar Oniani also discussed the role of Jurors in the U.S. and the high-level of trust in this system in regards to civil and administrative cases. Judicial assistant at the Tbilisi Court of Appeals, Tamar Chalidze also participated in the study tour together with appellate judges. Tamar spoke about the role of mediation in the U.S., necessary skills and knowledge required to effectively work in this role, as well as the U.S. practice in case management. USAID/PROLoG seeks to ensure that the knowledge gained through judicial study visits reaches beyond the participants of the exchanges and asks them to share key lessons with others. 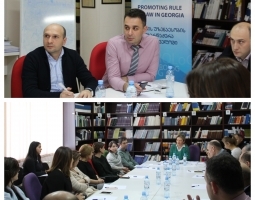 USAID/PROLoG plans the next study tour for Georgian appellate judges in March 2019.